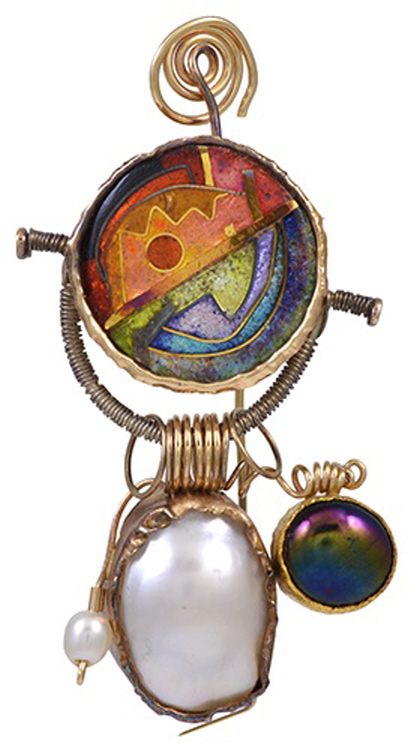 Gold Brooch with Pearls & Enamel Brooch circa 1980 by William Harper, an American jeweler. The brooch measures 3.875 inches long and 1.625 wide. This piece has impressed marks on reverse.